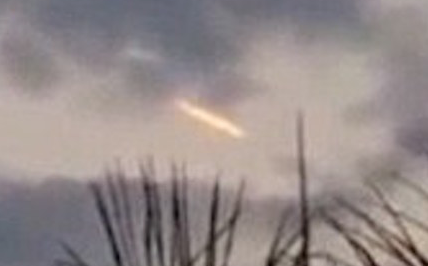 UFO SIGHTINGS DAILY: Australian Family Records Thin Disc Soaring In Darwin Sky On Oct 2015, Video, UFO Sighting News. Australian Family Records Thin Disc Soaring In Darwin Sky On Oct 2015, Video, UFO Sighting News. The most popular time to catch a UFO is during sunset. This is the one time it stands out apart from the sky and clouds. The reflection of light from a 90 degree angle of a setting sun on its metallic surface is impossible to hide, even for a cloaked vessel. 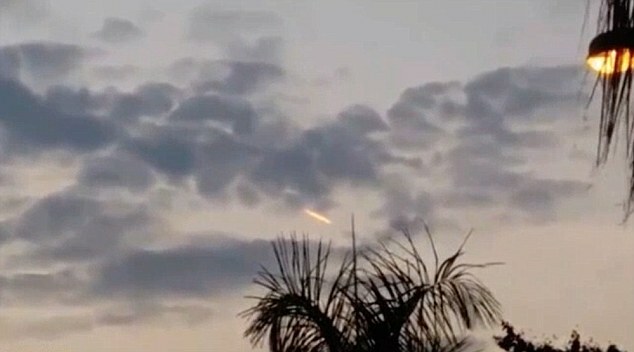 A family in Darwin, Australia, witnessed a glowing flat disc-shaped objects flying in the skies over their home. Quintin Theron and his two children, 14-year-old Kyle and 8-year-old Georgia, were at the pool of their home at Coconut Grove when they saw the strange light which they initially thought was a shooting star. The 40-year-old father filmed the alleged UFO sighting on Monday at 6 p.m. The kids yelled that they were seeing a shooting star. But Quintin replied, "That's crazy. It's too early and it's too bright for a shooting star." Kylie said it was probably a meteorite, but Quintin thought it was a satellite "that had its life," although the father added they could not decide what it was. When Geoff Carr, an Australian astronomer for over two decades, saw the image taken by Theron, he initially suggested it was a high-altitude military plane with open afterburners. He added it looks too slow to be a piece of space junk that is re-entering the Earth's atmosphere. He also said it could be an Iridium Flare, a large, cube-shaped communication satellite because of what looks like a flare up which is sometimes extremely bright that catches the sunlight at the right angle, reports NTnews. Because of uncertainty, Carr said it is unidentified, flying and an object, but he is unsure if it is alien. He concedes it "certainly is an interesting piece of footage. Because of its thick and short tail, News.com.au ruled out a meteorite.